The Sandfields East and Aberavon Renewal Area was declared on August 2004 and ended in March 2017. It was set up to give Neath Port Talbot County Borough Council the opportunity to improve the general environment and poor housing within a defined geographical area. Over the 13 year declaration period, the authority secured and invested over £11.5 million of Specific Capital Grant funding from Welsh Government to into the area. 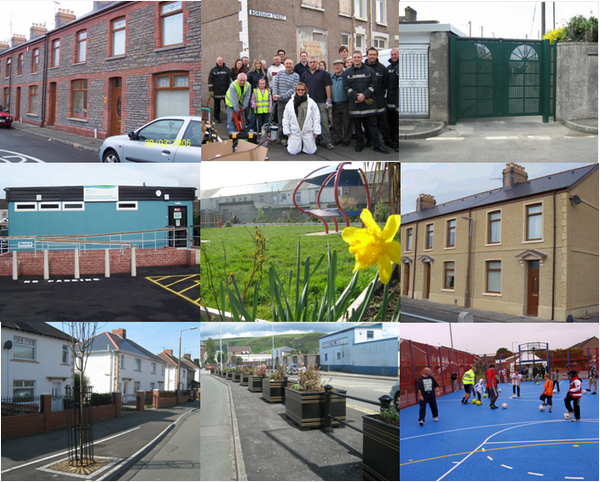 The majority of the funding was spent on housing renovation works such as Group Repair and Facelift Schemes, in total 692 properties were improved; other initiatives included Crime Prevention such as Alleygating, Youth Diversionary Activities such as the Summer iZones; SA12 Youth Club; and Environmental Improvements such as the Hopkin Street Community Garden.